The Hollinden Team is proud to announce their newest listing at 11615 Chenoweth Hills Place in Louisville KY. We like this house because it is unique, yet offers what lots of families are looking for. This all brick home has 4 bedrooms and we have priced it at less than $97 per square foot. This home is not currently on the market. Contact the Hollinden Team about this home’s history and other houses in the area. Bedrooms are always a concern when shopping for a new home. Oftentimes, the bedrooms are all upstairs. This home features a first floor master bedroom AND 2 more bedrooms on the first floor. The second floor is divided into 2 halves; one is the fourth bedroom. The other side could be converted into a bedroom with the addition of a privacy door and closet. The fourth bedroom is absolutely huge and contains a couch, big screen television, and a king-sized bed! If a person is looking for a 4-bedroom home with a 3 or 4 car garage, there are only 12 homes in Jefferson County priced under $350,000. Our home is a superior value and among the newest of this bunch at only 10 years old. Once you see the garage, you will see why we think that this is a unique home. 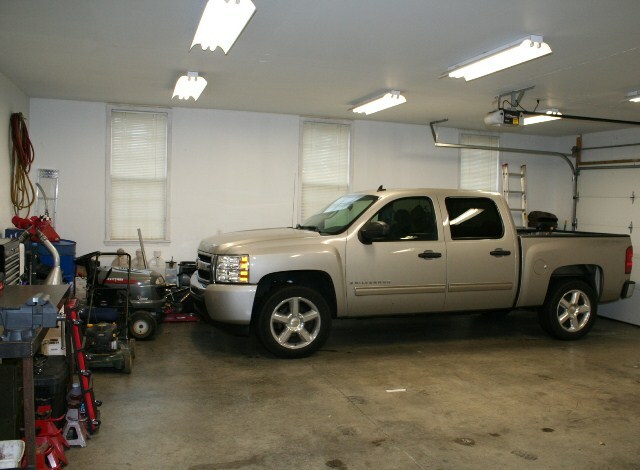 It is more than a typical 3-car garage as it has in excess of 900 feet. The doors are insulated and the area is extremely well lit. You could work on your projects in year around comfort. The Estates of Chenoweth Hills is located in the Jeffersontown area, but without the Jeffersontown city property taxes. The Estates section is the newest section in the Chenoweth Hills complex and these homes will average about 10 years old. You will find very few cars driving up and down the streets in this area and the cul-de sac makes it even better. 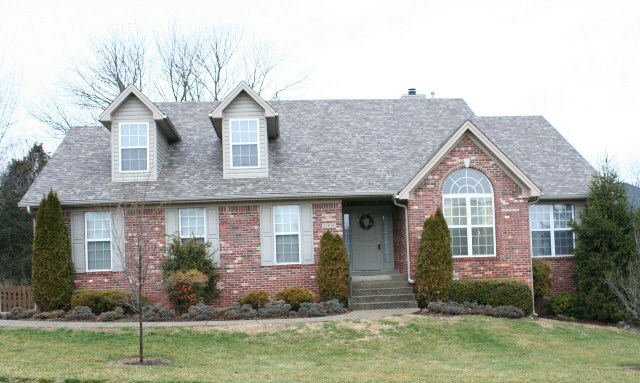 If you would like to see this home for sale in Chenoweth Hills, contact Tim Hollinden at 502-429-3866. If you would like to see other homes in the area, The Hollinden Team set up a unique search set for Jeffersontown KY Homes for Sale.